I’ve been experimenting. Since I’m starting to print in my studio (instead of the community college print lab where they had ventilation), I’m looking for non-toxic solutions, and I hit the jackpot with Akua Water-based inks. I’ve tried a few other brands of water-based and water-soluble inks, and after watching a few demo videos on the Akua web site, and paying attention to some of the tips and tricks suggested by the manufacturers, and artists out there using their products, I am totally impressed. They *are* a bit different from the oil based inks I’m accustomed to; the viscosity, tack and wiping feels different, but the richness of the pigments, and the ink’s adherence to & release from the plate is spot on. I can’t wait to experiment more in the coming weeks. The process shots start at the bottom of this post. The first print I pulled, all dry a few weeks later, ready for some colored pencil fun. I’ve found through various experiments that colored pencil works wonderfully on top of oil-based inks, but it barely leaves a mark on water based inks, so I started this with low expectations. I was pleasantly surprised to find that colored pencil sticks to the Akua ink much better than any of the other water-based inks I’ve tried in the past. Pulling the first blue-green over graphite print from the collagraph plate after a trip through the press. As you can see, there is still plenty of ink on the plate – I was able to pull three ghost prints without re-inking. Pretty nifty ink, that Akua stuff! After pulling a print in the graphite, I mixed a little blue and green, and top-rolled the plate with a brayer. I’m using tarlatan cloth to wipe selected areas where I want a little less density of color & you can see how rich the pigments are in the Akua ink. Using a scrap piece of mat board to coat the plate with Akua Intagio Ink in a beautiful color called Graphite. I made this plate a few years ago in my garage. This angle shows the back of a piece of matboard, with a pencil sketch, followed by a coat of Liquitex Gloss Medium & Varnish on the front and back. After the varnish dried overnight, I incised lines and removed the top later of mat board in shapes with an exacto knife to create “wells” that will hold ink. I re-coated the plate with gloss medium three times during the cutting to seal the plate, and hold things down if the cuts were close together, or when I got overzealous with tearing away shapes. You’re re-wetting the glue with the inks. You can let your plate dry, and then coat it front back and edges with liquitex gloss medium and varnish, and try again. The coating material for the plate is crucial because it has to be water-proof, as well as slick enough to release inks, and strong enough to have inks scraped on and rubbed off, etc. Go with the liquitex. Please report back on your progress so we can see your results. Don’t be sorry. You might just be my hero. I’ll report back with my results, but I have to go now… to get some Liquitex. 🙂 You might consider putting 2 coats of liquitex gloss medium and varnish on your plate, to be sure you create a barrier between the glue and the ink. Cheering from the sidelines: good luck! I am having trouble printing collagraphs because the ink is sticking to the paper and the paper is tearing and sticking to the plate, which is a mat board covered in glue that has dried for 2 days. I am using a paper called domestic etching and soaking it for 10 minutes. Too long? Perry, did you use glue to seal your plate, or liquitex gloss medium and varnish? 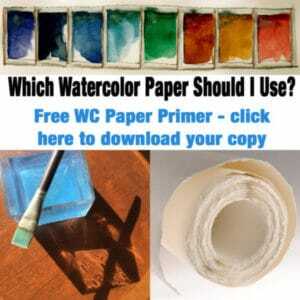 Im not a frequent blogger, but I stumbled across this post and was thrilled to see “Akua Water-based Intaglio Inks” as the headlining title. There is a common misconception about not only water-based inks, but particularly the Akua Inks (the intaglio inks are actually soy-based , how cool!). I’ve heard many people comment on their prints drying “dull” or “mat”. More often then not, this results from over soaking the paper, or the type of paper used. It’s important to know that though Akua Intaglio Inks are not water soluble, the pigments will “dull” when too much water has gotten to them because the water is causing the ink to further disperse. This can happen from over soaking the paper, or re-soaking the paper in between pulls. From my experience, using a smoother grained paper like Somerset or BFK Rives and printing it dry (when using an etching press..printing by hand is a different story)will yield the best results. Similar if not equal results can be yielded by soaking the paper for a short period of time (about 1-2 mins) – soaking paper this way will ensure that you are only softening the paper, and not actually making it wet. 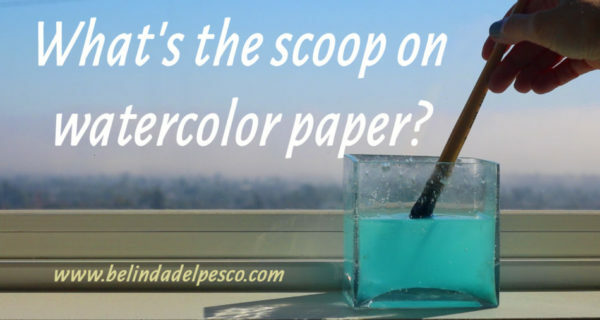 Making the paper wet does nothing for absorption or releasing of the ink – dampening paper is meant to make the paper soft so the details can easily press into the fibers of the paper. Love the quote too. I saw a show a few years ago with drawings of Whistler’s wife dying and letters from his friends after her death. Hi Belinda…I have used Akua Kolor inks for my relief printing and find them perfect, especially for lino. I had purchased some Akua Intaglio ink but haven’t used it yet. Your results are super! Its good to hear your working experience with Akua. I’ve toyed with the idea of getting them for awhile and now think some will be going onto my next order list. Dinah – You’re very welcome… I’ve heard about Akua forever, and always wanted to try them. They have a nifty little starter pack of basic colors on their site that might work for you. That is wonderful, Belinda. Do the prints really take weeks to dry all the time? Thankyou, Belinda, for your review of Akua. I, too, am keen to move away from toxic solvents (I work in my house! )and, until now, have not read much about Akua when used with coloured pencil.